Ideally, a tree hammock should be strung up in an area that falls directly under the shade of the trees. Hammocks are sleeping contraptions that are used for a person's relaxation. When choosing a tree hammock, make sure it is wide enough to sleep in comfortably. Traditionally, a hammock is made from a net of rope or cord. When buying a tree hammock, it is a good idea to identify the main purpose the hammock will serve, for example, whether it will primarily be used in the backyard for afternoon naps or for several nights camping in the wilderness. Hammocks can be found in all sorts of sizes, colors, and materials, some of which are more rugged, durable, and functional than the average backyard tree hammock. The method of hanging the tree hammock can also vary. One important factor is the length and width of the tree hammock itself. You should make sure the hammock is large enough to comfortably lie down on without feeling cramped. 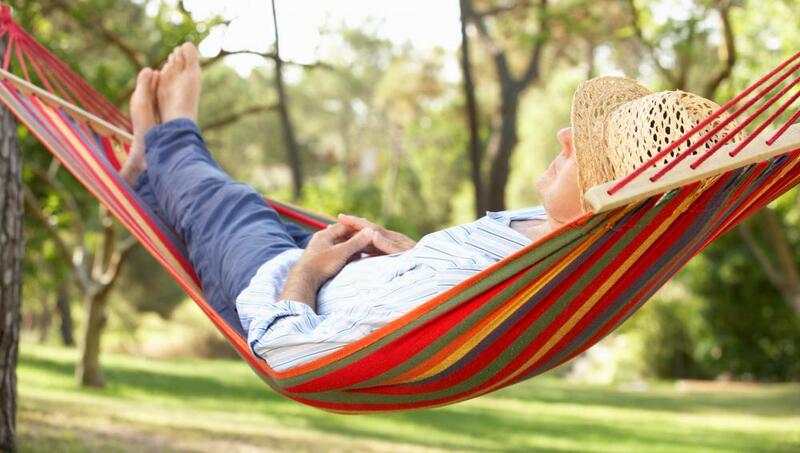 Additionally, if you are planning to use the hammock between a specific set of trees, say, in a favorite shady spot in the yard, you should measure the distance between those two trees and make sure to buy a hammock that will not be too long or too short to cover that distance. Another point to consider is the materials used to construct the tree hammock. 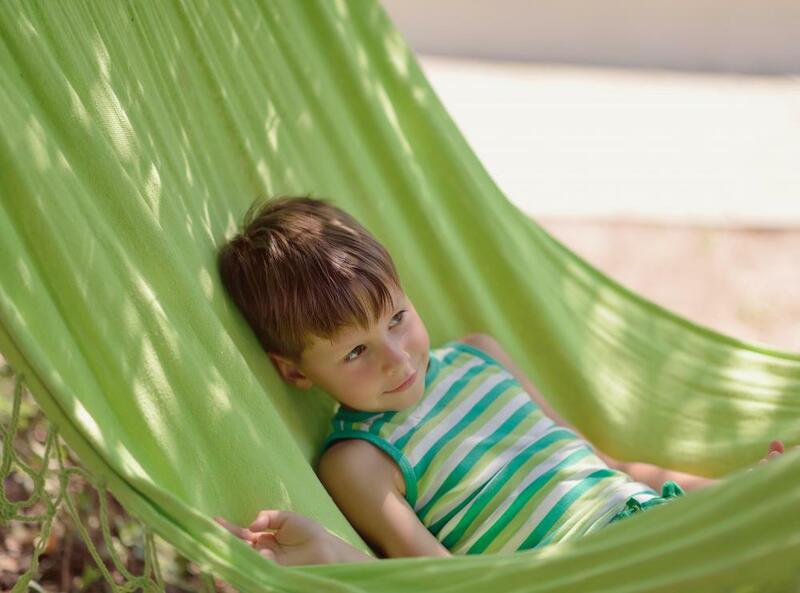 Traditionally, a hammock is made from a net of rope or cord, but many are also made from cloth or even quilted material. This is another instance where the function of the hammock should determine the materials used. If the hammock will be used mainly at home for relaxation, it may not be necessary to get the most strong, durable rope or cloth. Some people also prefer the feel of a regular rope hammock, while others think solid cloth is much more comfortable. The climate the hammock will be used in is also a large determining factor in which tree hammock is best. Some hammocks offer mildew and fray resistant fabrics or ropes for hammocks usually kept outside. Others have a zippered enclosure similar to a tent for keeping bugs and other animals away while camping. Most hammocks do not offer weatherproofing or insulation, however, and may require additional supplies for cold or rainy conditions. For a permanent setup, some people choose to drill into the trees and mount hooks on which to hang the tree hammock. Other people may choose to buy straps to attach the hammock to the trees, either for portability or environmental reasons. Even if a hammock is used mainly as a tree hammock, it is still fairly easy to hang most hammocks on a stand that can be moved around or taken down as needed. How Do I Choose the Best Backyard Trees? How do I Choose the Best Hammock Cover? How do I Choose the Best Hammock Frame? How do I Choose the Best Rope Hammock?